The Acura Advantage Leasing Program is making luxury more accessible than ever! Drivers who don’t want to compromise on their next, new car will be pleased to know that we have the most competitive lease offers and APR financing in the area. Your Gateway Area Acura Dealers want to help you get the driving experience you’ve always wanted. Come see us at one of our dealerships in St. Louis or Manchester to start customizing your lease today. Acura is and always will be a leader when it comes to safety, standard features, and performance. Every vehicle wearing the Acura badge is a successful fusion of luxury, technology, entertainment, and safety. The Gateway Area Acura Dealers is an association comprised of two Missouri dealerships: Frank Leta Acura and Mungenast St. Louis Acura. Not only do our dealers offer superior customer service, but we also provide trustworthy service departments and genuine OEM Acura parts. We make it easy to own your next Acura with competitive lease offers and financing options with a friendly, knowledgeable staff to help you every step of the way. With dealerships in Manchester and Saint Louis, Missouri, every Gateway Area Acura Dealers location has a comprehensive inventory of Acura models, including a wide range of new and Acura Certified Pre-owned (CPO) vehicles. Choose from the affordable and sporty ILX, the performance-focused TLX, the flagship RLX luxury sedan, the sophisticated RDX crossover SUV, the larger MDX midsize SUV, or the iconic Acura NSX supercar. No matter what your vehicle needs might be, we can get you into the Acura of your dreams. 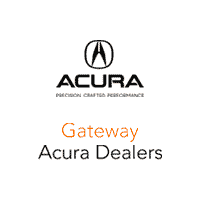 Use our helpful search tool to locate your nearest Gateway Area Acura Dealers showroom today.